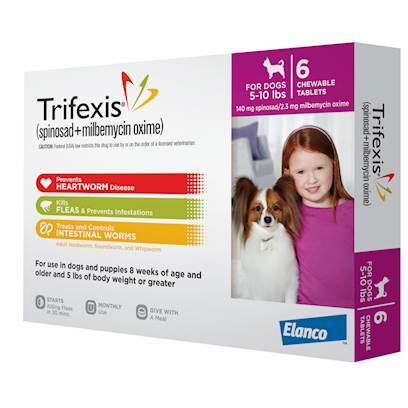 Trifexis is a powerful and effective means of preventing heartworm disease, as well as protect against fleas and a number of other worms and parasites. Rated 4.5 out of 5 by 162 reviewers. Great product, totally works, and PetCareRx offers it at a great price! This product works great for sensitive dogs...I have a pug.. I have a minature schnauzer 16 lbs, have been giving it to her for about 2 years. The price continues to go up each time I buy a 6 month supply. Five months--so far, so good! Effective - IF YOU CAN GET IT IN YOUR DOG! This product combines Heartworm & Flea meds. Who knows about effectiveness for heart worm? But bad for flea effectiveness.